Discover everything you need to know about writing cover letters that stand out from the competition and grab employers' attention. Writing a great letter can feel like a daunting task to a lot of job seekers. 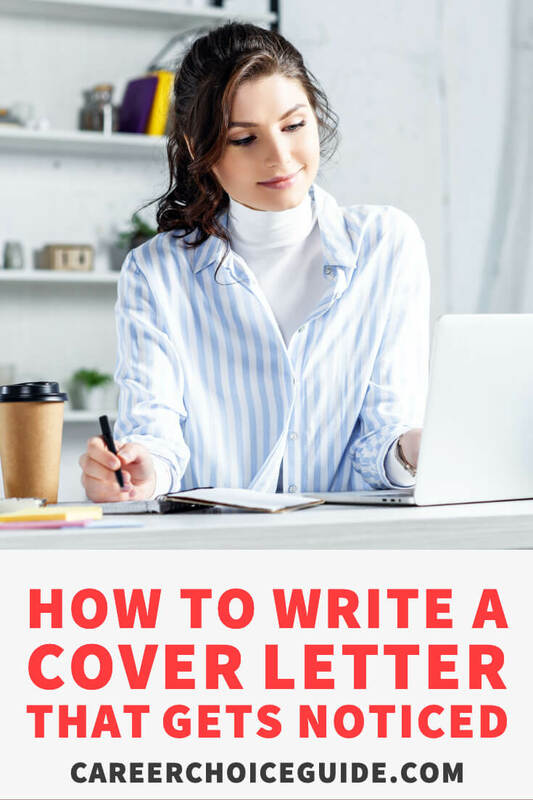 In fact, usually, when I start to talk with clients about this topic, the first thing people ask is, "Do I really have to write a cover letter?" When I say yes, the next question people normally ask is, "Why?" If you're going to invest your time working on a challenging task, it's wise to know exactly why you're doing it. It is true that some employers never read cover letters. Instead, they look directly to a candidate's resume. However, plenty of employers find a lot of value in a cover letter. They see it as a way of getting to know more about you, your personality and your ability to communicate outside of the structural restrictions of a resume. Some employers will only read your resume if they are impressed with your cover letter. Other employers will not read a resume if is it not accompanied by a cover letter. They feel that it is a part of a complete job application package. If you have only sent a resume, these employers believe that you have only done half of the job in the application process. They view that as a negative reflection on the way you would do the job at their company. You don't know the employer's preference each time you submit a resume, so you must submit a cover letter with your resume every time you apply to a job. What if the job ad only asks for a resume? The answer is yes, absolutely. Even if the letter is not specifically requested in the ad, it is assumed that you will submit one along with your resume. Too many job seekers write a generic letter that they submit with every job application. Employers can tell when you've written a generic cover letter because it doesn't address the way in which you can meet the specific needs of the company. Generic comments won't do anything to convince employers that they should invite you to a job interview. In fact, it can leave an employer with a negative feeling that you couldn't be bothered to write a simple letter in order to apply to the job. Think about it this way: How do you feel when a company sends you a completely generic form letter? Do you feel valued as a customer? Does the communication carry any special importance for you? When you get any generic communication, you know that no one in the company took the time to address your specific needs. Most employers feel that way when they receive a generic cover letter. Employers assume that everything you do as a part of your job search represents you at your very best, and they use that information as a way to make judgments about the very best work you will do at their company. Therefore, to show employers that your very best work is outstanding, and you are the kind of person who goes above and beyond expectations to do a great job, you must write a well researched, targeted cover letter every single time you apply for a job. Writing Cover Letters for Any Situation - Tips for writing cover letters to suit any situation. Cold Call - Usually very tricky to write simply because you often have limited information about the company's current staffing needs. Here's how to make a great impression when you have limited information. Referral - Used when someone you know has referred you to a job opening that they know about. It's quite wonderful to get the inside track on jobs through referrals; these are usually your best job leads, so you'll want to make the most of them. Response to a Job Ad - When employers advertise job openings, they are often inundated with applications, so you really need to do what it takes to get noticed in this situation. Someone who has found a job lead through networking or referrals. Did you know you can write targeted cover letters to use when you attend a career fair? Here's a little-used, but effective tactic to stand out at a career fair. How to show how your skills from your past career transfer to your new career, and how to avoid 2 common mistakes career changers often make. Do keep in mind that good writing is all about rewriting. Don't expect to write a masterpiece on your first try. All good writers revise their work, and the same is true for writing cover letters.